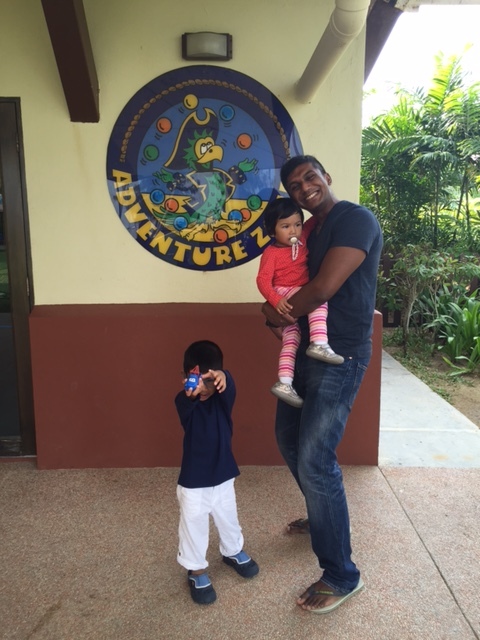 Adventure Zone was initially meant to be a back-up activity in case it rained during our time in Penang. How could we let good sunny days go to waste, after all we were staying at a hotel with fantastic pool facilities and a nice beach right in front of us. However the kids got alittle bored of swimming everyday and so we had to bring in our stand-by activity. 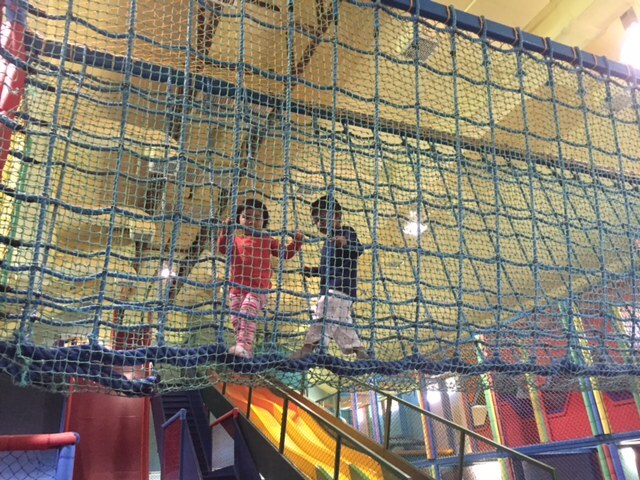 Adventure zone is a facility with drop slides and play equipments for the whole family. 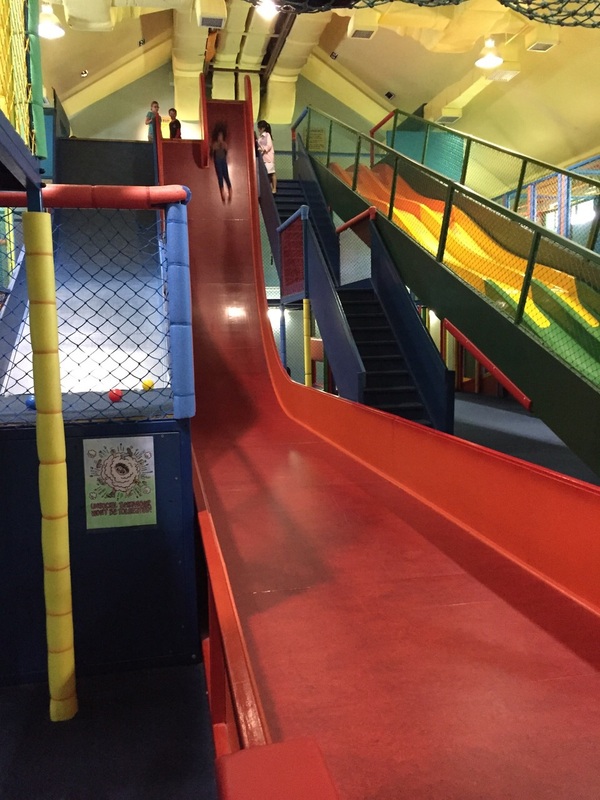 There were slides available for all ages and also for those with little dare devil children (I didn’t know mine were until then). For those who are considering to go to Adventure Zone, please bring along socks, long pants and a long sleeve top , this is to help prevent ‘burns’ when coming down the slides and they are really strict on the dress code. It is located within the grounds of the Shangri-La Rasa Sayang Resort and Golden Sands Resort so it is ultra convenient for families staying there. It is a 3 minute cab ride away from Hard Rock Penang. The good thing about the place is the fact that adults need not pay if they were accompanying a paying child. 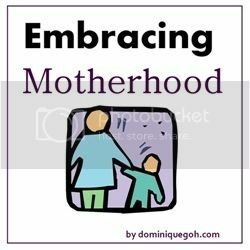 Upon entering the facility, you will find lockers for you to keep your belongings and a small café area for the kids to take a break or for parents of older children to ‘hang out’. 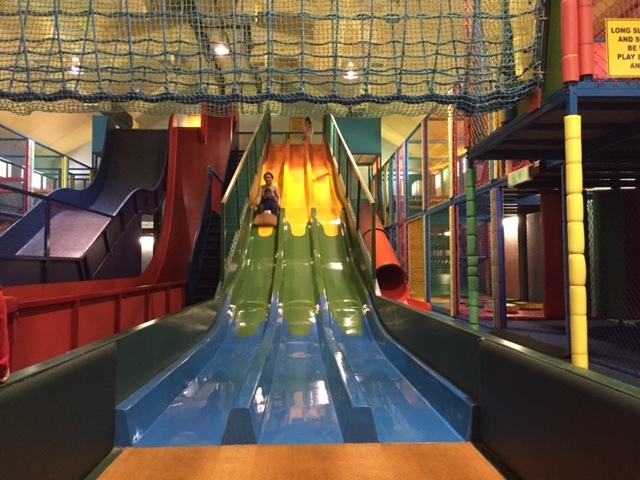 The café area has an unblocked view of all the slides so that you can keep a watch on your kids from where you are. 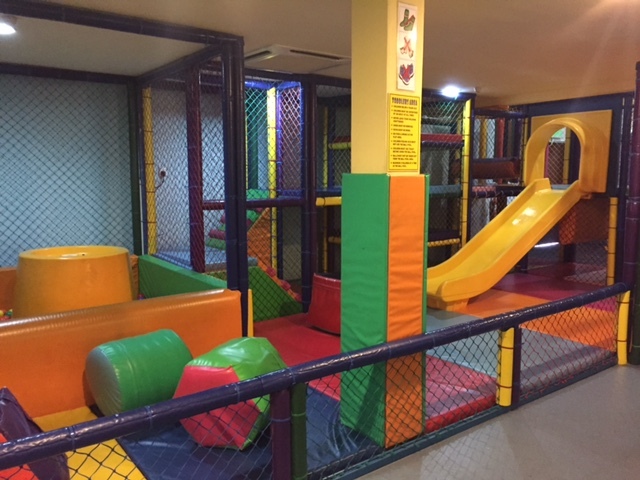 It is also located right next to the toddler play area which is very convenient. We initially rode tandem with Jah and Bella on the ‘gurney sack’ slide but it wasn’t long before Jah wanted to go on his own and we were coming down the slide, side by side. The only downside of him having so much fun and wanting to go again and again, was the fact that I had to repeatedly climb up the long flight of stairs for 3 seconds of ‘thrill’. Whee! It was quite fast! 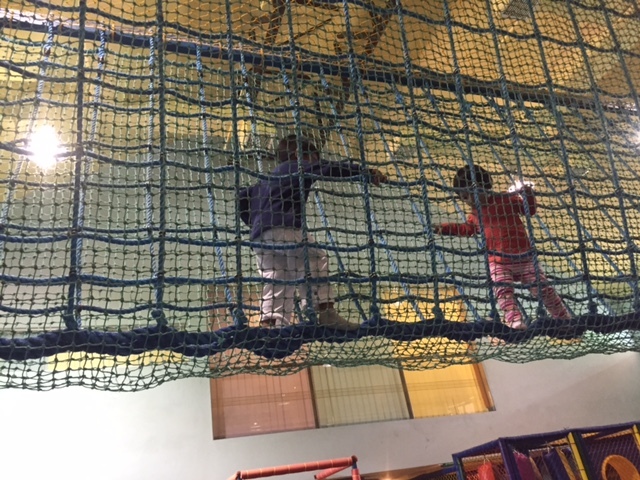 Thank goodness there were other areas for them to explore and Jah and Bella occupied themselves with climbing up ramps and across ‘bridges’. We were there for almost 2 hours and in that 2 hours, Jah had silently worked up the courage to attempt one of the vertical slides. I never knew this boy was so fearless. I have to say that it was probably easier for him to attempt it since I was lowering him down the side whereas other kids and adults (like myself) had to sit on the ledge and well push ourselves off the ledge. Scary stuff!! (And it wasn’t even their scariest slide). My little fearless boy looked like a rag doll coming down the slide and he was so disoriented after landing in the ball pit that he wasn’t quite sure where to go but 30 seconds later, he wanted to go again! I have to say that we didn’t really expect much from Adventure Zone but I guess sometimes all you need are a few slides and a dose of courage! We will be back the next time we are in Penang for sure!